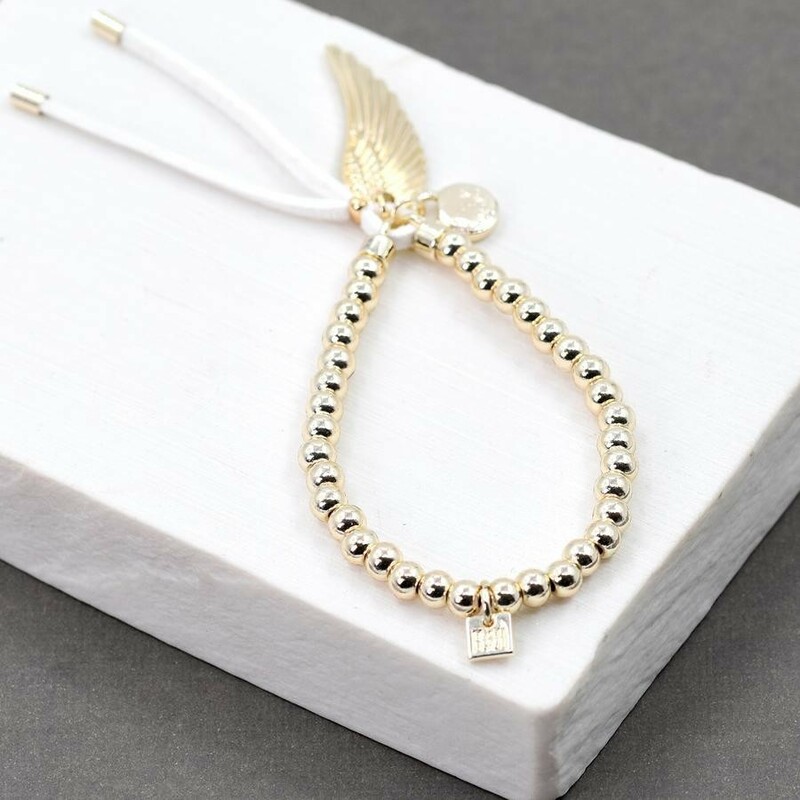 Absolutely in love with this very pale gold angel wing charm bracelet. I love the twist using the faux suede white tassel. Stretchy to fit most wrists.